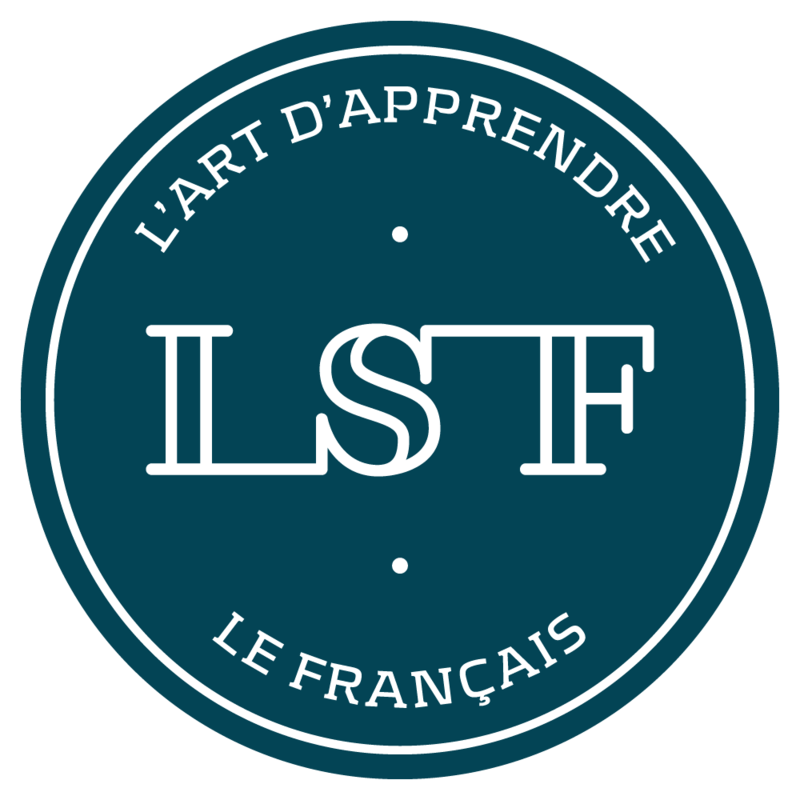 LSF | Learn French in South of France > LSF Montpellier > 10 things you should know about your experience at LSF! 10 things you should know about your experience at LSF! 1) LSF was created in 1996 in Montpellier. We have a enormous experience teaching our beautiful language to juniors and adults from all over the world and we are very good at it ! We teach all levels of French from beginner to advanced level to Adults (from 16 years old) throughout the year and to Juniors (11-16) during summer! In July 2016 LSF became the first school in Montpellier to obtain the maximum Label Qualite FLE accreditation score (15/15*) following a French government audit. 2) We have 20 air-conditioned classrooms located in prestigious buildings in the historic centre of Montpellier- you will be in the heart of the city! The Junior centre is only 5 minutes’ walk from the Adult centre. 3) All of our teachers are native French speakers who hold a professional Master’s degree in teaching French as a Foreign Language (Master 1 or Master 2) and have considerable teaching experience. We have a permanent team of 7 dynamic teachers who are constantly innovating and creating new teaching materials, activities and games. 4) We offer you a full range of accommodation in Montpellier: host families, student residences, private studios and apartments according to your needs and budget. Arrival and departure transfers from Montpellier airport or railway station are included with the host family option. 5) We send you a written French test before your arrival and you have an oral test on your first day at school, enabling us to place you in the most suitable class according to your level! During your stay you can change class if you think you will feel better in a class at another level. We are flexible and always available to speak about things with you! 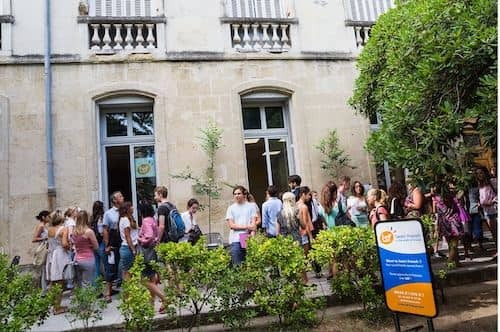 6) Upon arrival on the Monday morning you will share a welcome breakfast with all the new students, have an information meeting and go on a free guided-tour of Montpellier. We will offer you the LSF Roadbook “Carnet de Route”! This is both a real textbook with illustrated vocabulary, conjugation sheets and classroom activities + a roadbook to record your discoveries and your impressions + a Montpellier guide with tips and good addresses. 73 pages to progress in French on a daily basis, fully created by our teachers! 7) With our LSF Smartphone app you access your class schedule or to your host family contacts directly from your mobile phone. 8) Thanks to the e-learning platform created by the LSF teaching team, used both in and outside the classes, you have access to all courses from beginner to advanced level (A1 to C2) in the form of self-correcting exercises, course summaries, grammar sheets and vocabulary. This is a unique tool in Montpellier. You also enjoy interactive and dynamic classes with our interactive flat panels from the SMARTboard range, and use the latest multimedia resources. You also get freetutoring with an LSF teacher to help you overcome any obstacles. We want you to progress! 9) You have a lot of fun meeting students from all over the world! We have a fantastic age and nationality mix at LSF! Our wide range of social and cultural activities and excursions help you not only to get to know your fellow students but also to find out more about the beautiful south of France and French culture. Every week we organise a new activity programme! 10) At the end of your stay on the Friday after your lessons you share a wonderful moment with all the students of our school, our famous “apéritif”! You will receive your diploma certifying your attendance and the language level achieved at LSF. For sure you will miss us and want to come back J Finally, we are the best rated school in Montpellier, see what our students say about us on Facebook or Google, and don’t forget to have a look at our media gallery! À bientôt ! And you, what is your favorite French word or the most bizarre word for you 🙂 ? Newer What is your favorite French word or the most bizarre word for you? What is your favorite French word or the most bizarre word for you?